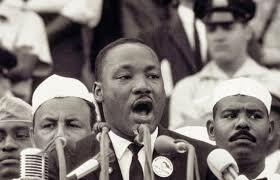 Tomorrow is August 28, a date that holds deep significance in the history of the modern civil rights movement. 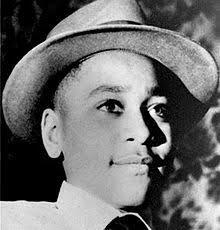 On that date in 1955, fourteen year old Emmett Till of Chicago was lynched in Money, MS. An all white jury failed to convict the men accused of his murder. Later the men confessed to the murder but were never brought to justice. Emmett's mother Mamie made the courageous decision to have an open casket viewing of her son's mutilated body. Photos were published in Jet magazine, and the subsequent shock and outrage helped to spark the emerging modern civil rights movement. The casket in which he was buried is now part of the National Museum of African American History and Culture in Washington, DC. But we refuse to believe that the bank of justice is bankrupt. We refuse to believe that there are insufficient funds in the great vaults of opportunity of this nation. And so we’ve come to cash this check, a check that will give us upon demand the riches of freedom and the security of justice. Fifty five years after Dr. King delivered his most famous speech, we are still facing "the fierce urgency of now" to make justice a reality for all God's children. There is still urgent work to be done to bridge the widening racial gaps in education, health care, housing, and employment. While most people will remember this speech as "I Have a Dream," it is just as important for us to be called back to "the fierce urgency of now." That's the only way we will truly live into the dream of justice for all.